Welcome all to my first Blogging segment. 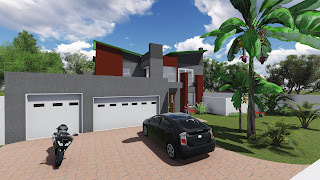 This blog page will be dedicated to my passion and business - Architecture; Architectural designing and Construction in South Africa. Please note that this is a private blogging site and the views expressed herein are my personal views. Although I will attempt to provide a balanced and accurate view, errors may slip in from time-to-time. I would like to take this opportunity to introduce myself and furnish you with a brief background of my practice - Crane Designs. My name is Eddie Petersen, I am the CEO of Crane Designs, with over 27 years’ experience in the South African Building industry. At Crane Designs, we are able to offer a complete range of Architectural services to the highest standards, exceeding all Local Town Councils requirements. "The National Building Regulation" by-laws require that all construction work need to have Local Town Council approved drawings, before any work may commence. We offers a large variety of Architectural and Building related services. We design new dwellings, additions to existing dwellings, Flats, Townhouses, Cluster developments, Factories, Office blocks, Town planning developments, Affordable housing projects, Cost Estimating and Building Projects Management services. 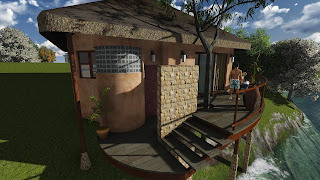 Using the latest Computer Aided Designs (CAD) for best accuracy and faster production times, has enabled us to produce Architectural services at the most competitive prices.